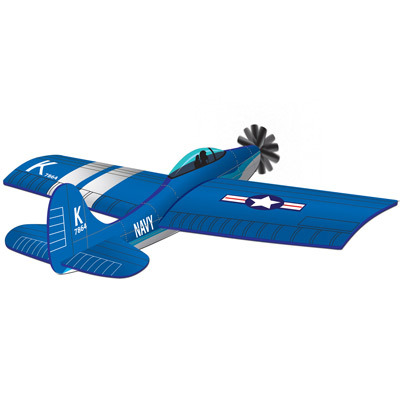 Inspired by the WWII F4U Corsair, this 3D kite is sure to attract a crowd. The nylon and fiberglass kite measures 45" x 31.5" and is wind rated for 7-18 miles per hour. The F4U Corsair kite comes complete kite line with a winder.